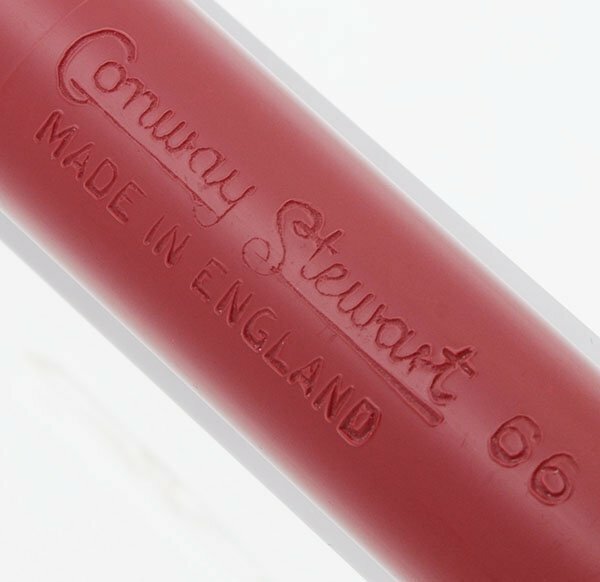 Conway Stewart model 66 from the 1960s. Red body with chrome/silver colored trim. Fine gold plated steel nib. Replacement Parker aerometric filling system installed and working well. Excellent condition. Manufacturer and Year Conway Stewart, England -- 1964-71. Filling System Aerometric squeeze filler. The Conway Stewart aerometric fillers do not hold up well and we have replaced the filling system with a Parker one. A new sac is installed and tested. It is working well. Color Red plastic with chrome colored trim. Nib Fine gold plated steel nib. 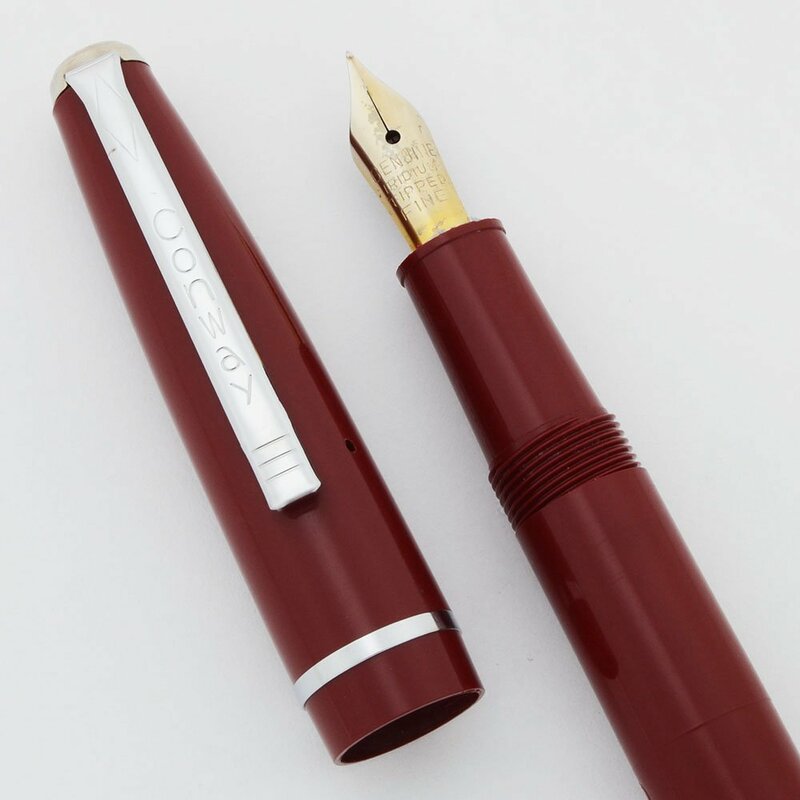 It writes smoothly and is brassed. Condition Excellent condition. The plastic and trim look great. The barrel and clip imprints are crisp. There is a hole at the end of the barrel. It may be an original breather hole but is now oval shaped and uneven. The nib is brassed, as mentioned above, but it looks much better in hand than it does in the photo. The plastic nib housing is a bit roughed up. 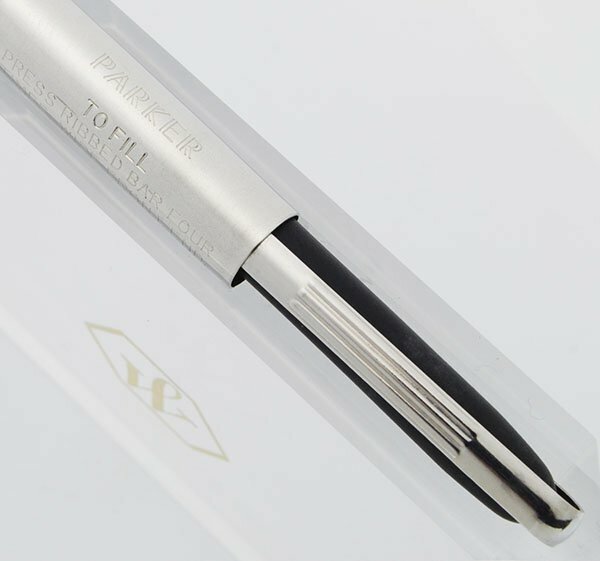 It works well, but it does have a Parker replacement filling system.